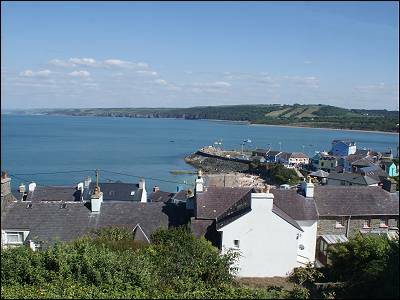 Hedd-y-Mor, New Quay, sleeps 5 + Wi-Fi. 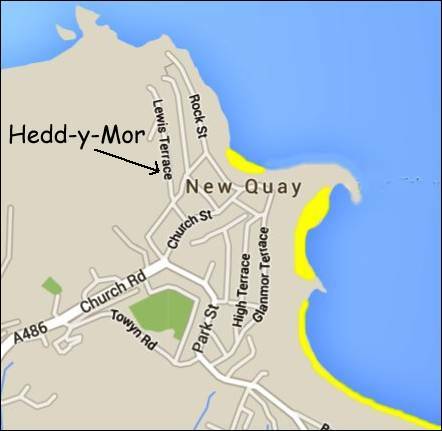 Hedd y Mor is a newly renovated traditional 3 bedroom house with Wi Fi, on Lewis Terrace, on the Ceredigion and All Wales Coastal Path – you can join the path at the end of the road. 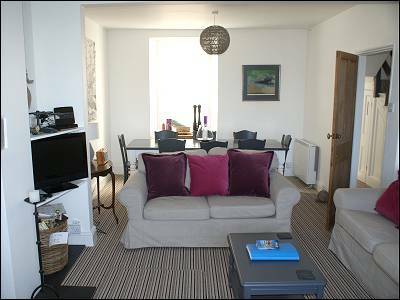 Just a few minutes walk from the centre of New Quay and with superb views of Cardigan Bay and New Quay Harbour from the front windows. Pet friendly. 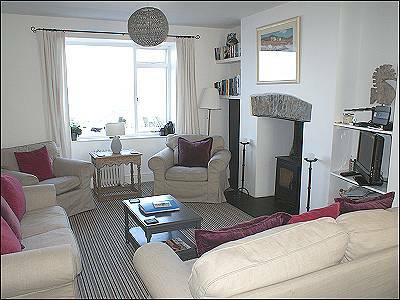 ACCOMMODATION - Open plan sitting / dining room with 2 sofas and armchairs, 32" flat screen TV, woodstove, the dining table seats up to 8. 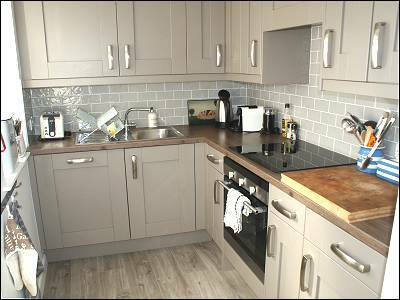 The well equipped kitchen has an electric oven and induction hob, integrated fridge and dishwasher, as well as all the usual small appliances, crockery, cutlery, glasses and cookware. In the adjacent utility room there is a walk in shower room with WC and basin, large freezer, microwave and washing machine, plus plenty of storage space. 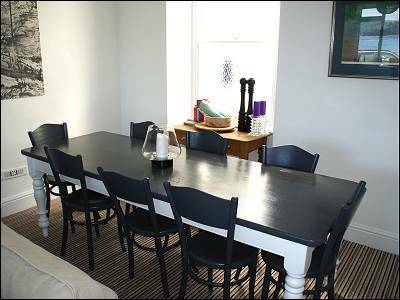 The dining table seats up to 8. 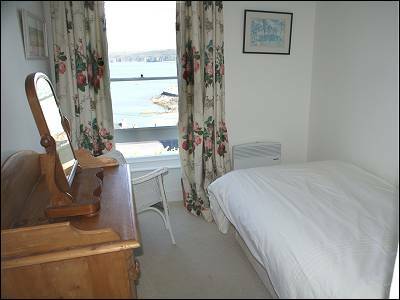 There is one double bedroom with sea views, a twin room facing the garden and a single room with sea views. 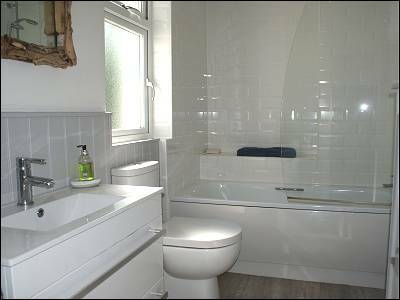 The newly fitted bath room has a bath with shower over, WC, and washbasin. The fully enclosed rear garden is terraced and there is a small patio area with seating. 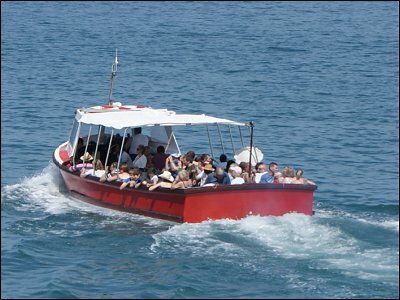 There is a bench seat in front of the house, where you can watch the dolphins, and see the sunsets. There is on street parking opposite the house. 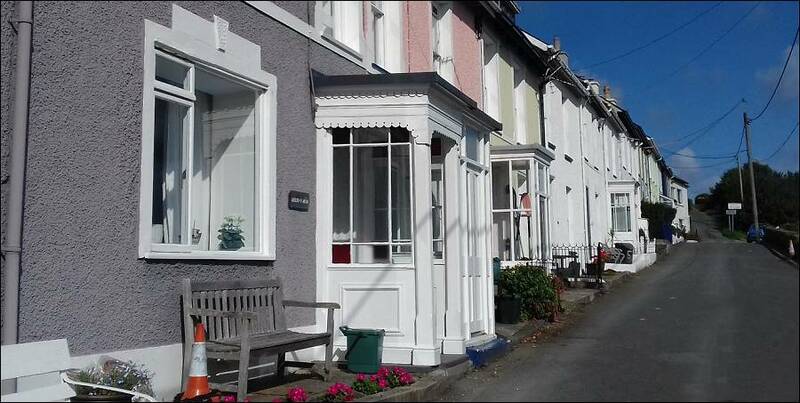 Weekly rentals are Friday to Friday. Located on the Coastal Path. Wood burning stove in the sitting room.- fuel is available in local shops. 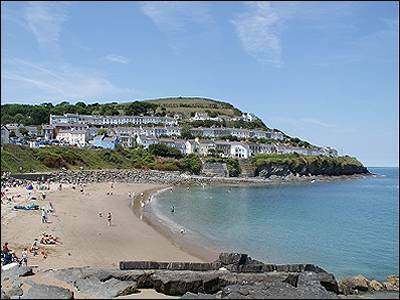 Just a couple of minutes walk to New Quay's beaches, pubs and restaurants. 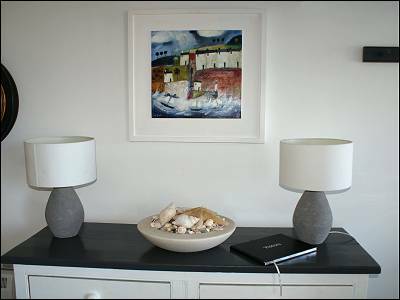 Electricity and heating is inclusive - the property has electric heating throughout. 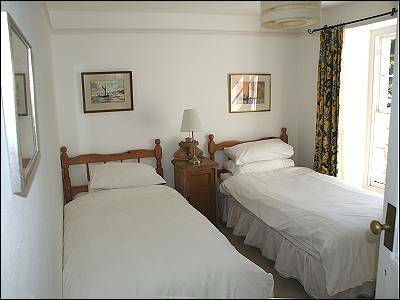 Bed linen and towels are not provided, but can be hired from the housekeeping service. 3 and 4 night short breaks sometimes available by arrangement in low season. Pet friendly, no dogs upstairs, stair gate provided at the top of the stairs. Back garden is fully enclosed. Care must be taken using the steps at the rear which can be slippery in wet weather. 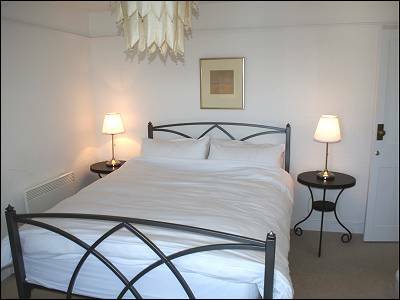 Short breaks at £95 per night, 3 min.